A long wait for the 1889 model ambulance…. 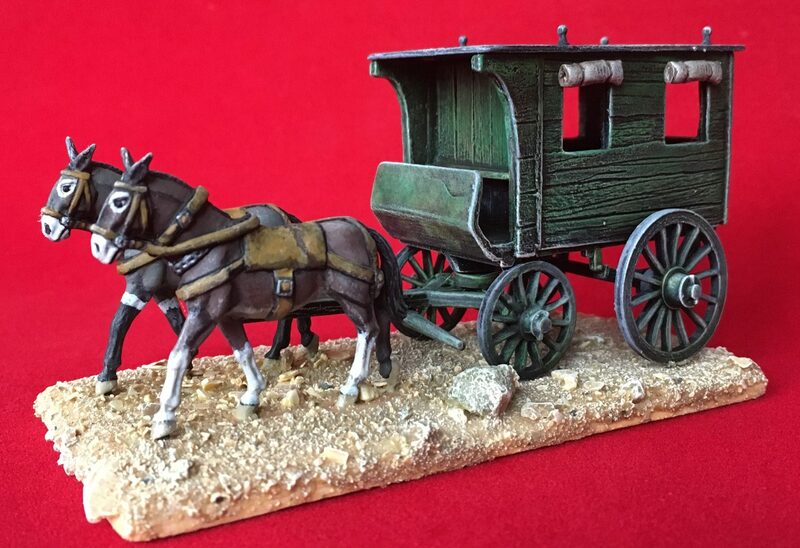 The 28mm miniature mule drawn ambulance is almost complete, the production moulds are complete, the plan is to release it in September 2016, the final release will also include a driver, sat on a mule, rather than the front seat. I started making the masters for this back in early 2104, I am really pleased with the way it’s turned out, the design will work for Wild West through to WW1. There will be a pack of injured legionnaires to go with the ambulance, these will make excellent casualty markers or vignettes. The pack consists of a pair or legionnaires carrying a colleague on a stretcher and a second pair where a legionnaire is giving a wounded legionnaire a drink from his canteen. 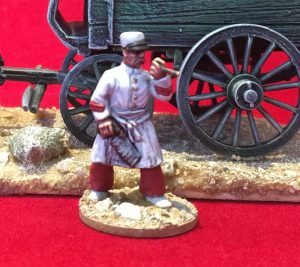 There is a unique figure of a French Foreign Legion Surgeon, with his bone saw, this will only be available in the pack with the Ambulance and the medic party, which will consist of the ambulance, two mules and 7 figures, a really great set – full of character. Mounted French Foreign Legion command – an officer on a horse and a Sergeant mounted on a mule. Mounted Legionnaires (II) – this will also include a new pose for their mule to add variation. A new North African building. 80mm mountain gun on mule train with 4 legionnaires. I’m always happy to hear your views on what packs should be added, please either leave a comment or drop me an email. Fantastic range of figures and buildings Mark. Saw them at Salute in April and been hooked on the French Foreign Legion ever since. WW2, usually my fave period, has had to take a back seat for the time being.